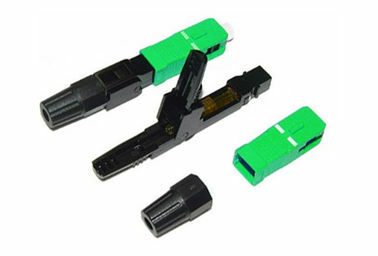 Used to open the FTTH fiber terminal end. In the box, cabinet, such as wiring into the box. Off the back of the accidents such as fiber, maintenance. LAN, wan, data and video transmission. The construction of the fiber end user access and maintenance. Optical fiber access of mobile base station. Installed in order to ensure the quality and efficiency of research and development of the high ratio of the fiber optic fast in products. Pressure welding parts adopt new unique structure design, installation no injecting, no grinding, no material . With embedded optical fiber type structure . Installed with high quality and high success rate and fast and other characteristics . Can be reused, the scene is simple.